Here at Travel Weekly, we’re not really a fan of Mondays. But we love looking through wholesalers deals and dreaming up our next holiday! It also makes Mondays more bearable. 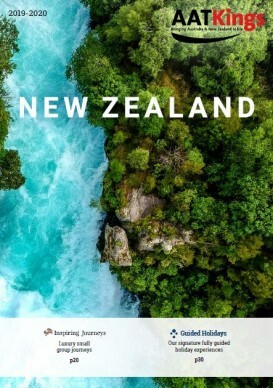 With an eye-catching image of North Island’s Huka Falls as the cover shot and over 20 exciting itineraries across two different trip styles – AAT Kings’ vibrant new 2019/2020 brochure provides agents with everything they need to bring the wonder of New Zealand to life. Be inspired by extraordinary landscapes and select from a vast range of holidays – suited to those who enjoy meeting a group of likeminded individuals and travelling with a passionate and knowledgeable Travel Director – AAT Kings’ Guided Holidays and Inspiring Journeys allow for seamless selling to that scenic part of the world. And with definite departures for Guided Holidays, agents are sure to be enthused to sell everything from the white sandy beaches of the North Island to the snow-capped mountains of the South Island. Guests will learn the history of the land and be inspired by Maori culture and its spellbinding stories that have been passed down through generations. With over 100 years of experience, AAT Kings is dedicated to showcasing New Zealand’s stunning landscapes and culture. Let’s kick start Monday with Insight Vacations offering a 15 per cent saving on all Spain, Portugal and Morocco Trips in Summer 2019.. and 20 per cent off for past Insight travellers! Book by November 26 to take advantage. Tempt your clients with trips like the Best of Spain and Portugal, a 15-day regional journey – Follow the fortunes of the Spanish, Portuguese and Moorish Kingdoms as evidenced in their grand castles, stupendous religious buildings and incredible works of art. Ghosts and paranormal activity have captivated the world for centuries and now Cockatoo Island is ready to share its own shocking tales – and the rare apparitions, with the world. Launched on Halloween this year, Cockatoo Island’s adults only Ghostyard Tours will deep dive into the dark heart of Cockatoo Island’s ghastly past. Cockatoo Island Ghostyard- A paranormal experience, delves into the unnerving history that can only be told after dark, exploring the four main types of paranormal activity: Residual Hauntings, Intelligent Hauntings, Shadow Figures and Poltergeists. From unconfirmed sightings to the dread inducing chills, this tour will introduce the silent characters who make up the darker side of Cockatoo Island. Through the exploration of buildings rarely open to the public, the Cockatoo Island Ghostyard Tour will recount some of the island’s more gruesome tales, including grisly murders, botched prison escapes and deadly accidents. If joining this ghoulish adventure wasn’t enough, Cockatoo Island has set up the ultimate Ghostyard Glamping experience. Following the 90-minute nocturnal exploration, guests will be able to test their fear threshold and glamp overnight in the comfort of Cockatoo Island’s mini-glamping accommodation. 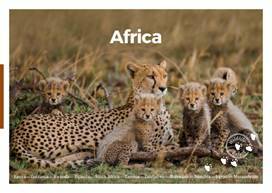 Wildlife Safari AFRICA brochure out now! Exciting news! 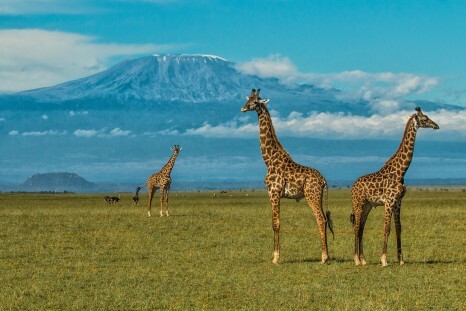 Wildlife Safari has just released our AFRICA brochure which delivers the best in luxury safaris by safari vehicle, luxury train, boat and plane staying in the finest luxury tented camps, lodges and beach resorts. Explore our collection of Signature Safaris and Custom Designed Journeys to Kenya, Tanzania, Rwanda, Uganda, South Africa, Botswana, Zimbabwe, Zambia, Mozambique, Namibia and Egypt… all in one big glossy brochure. Let our team of Africa experts custom design the perfect safari, with unique experiences, for your discerning clients. BURGUNDY RIVER CRUISE ADVENTURE: Blessed with some of the most gorgeous countryside in Europe, if not the world (not to mention perhaps the best wine around), Burgundy is a place everyone should explore at least once. And the best way to do it is from the deck of an ambling river barge. Visit small villages and first-rate wineries, bike through forests and vineyards on a provided bicycle, and soak up the glorious sunshine, all with the help of a charming little hotel that goes where you go. Original price: $3499 per person. Sale price: $3099 per person (save $400pp when booked before November 30, 2018). 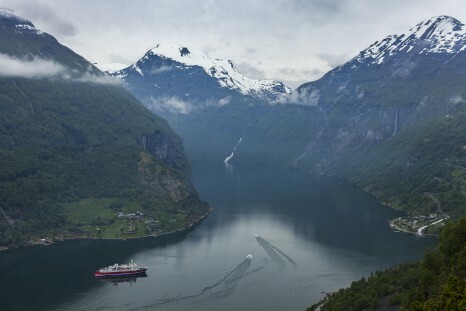 CRUISE THE NORWEGIAN FJORDS IN DEPTH – TROMSØ TO BERGEN: Venture into the magical and mysterious lands along the coast of the Norwegian Sea for close encounters with glaciers and gorgeous fjordscapes. Perfect for explorers long on ambition but short on time, this 11-day expedition brings you to important sites of Norway’s ancient history, UNESCO World Heritage Sites, and some of the most incredible nature you’ll ever see. Original price: starting from $5199 per person. 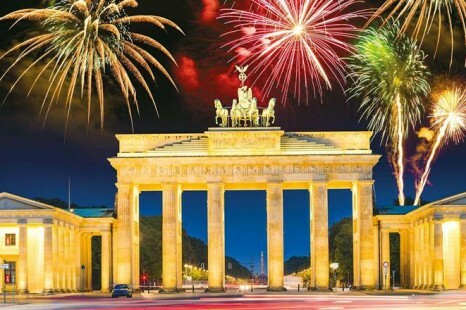 Sale price: $4699 per person (save $500pp on 20 May, 2019 departure, when booked before November 30, 2019). 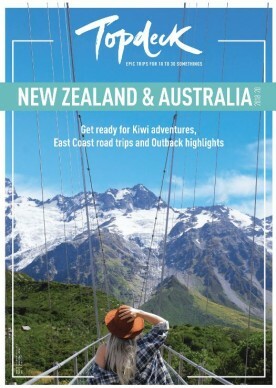 Youth travel expert, Topdeck Travel, has officially launched its 2019/2020 Australia and New Zealand brochure, highlighting a variety of Aussie gems to explore in our own backyard. New to the brochure is the ‘Create Your Own Adventure’ style of trip, which enables travellers to customise and connect a variety of sectors. This could include a sailing adventure around the Whitsundays, a surfing trip up the East coast or a visit to the red centre. In addition, customers can save up to 10 per cent off Australian and New Zealand trips for a limited time offer (valid until 15 January). Save $521 on Intrepid’s 14-day Best of Cambodia trip departing 13 December 2018. Experience the best of Cambodia from Phnom Penh to Sihanoukville. On this trip, travellers will witness some of Cambodia’smust-see highlights while getting an insight into the people, landscapes, customs and authentic cuisine. Travellers will venture to Battambang and discover its French provincial characteristics, visit Angkor Wat and travel to the remote south of Cambodia to explore the mystical land of the Khmers. A key highlight includes staying in a local village where travellers will experience everyday life in rural Cambodia and witness the temple ruins at Sambor Prei Kuk. Save $817 on Intrepid’s 10 day Peru: Bike, Climb and Hike trip departing 13 December 2018. Climb, bike and hike through Peru and discover ancient civilisations on the Inca Trail. On this trip, travellers will explore the remarkable land of the Peruvian Amazon, climb the via ferratas in Urubamba, venture out on the Quarry Trail to discover the sacred valley of the Incas, take a mountain bike trip through the countries local farms and explore the rural lands of Peru. A highlight for travellers on this trip includes camping underneath the stars in the Andes. Save $388 on Intrepid’s nine-day Explore Southern Thailand trip departing 25 November 2018. Take a trip to sandy Southern Thailand to encounter some of the country’s most serene and pristine shorelines. On this trip, travellers will go beach hopping on the crystal clear shore of Phuket’s Patong and Nai Harn beaches, explore the unearthly islands of Koh Gum, Kangkaw and Koh Yeppoon, delve into the Khao Lak’s ambient coastlines and trek through a jungle landscape full of wildlife and waterfalls. Highlights for travellers include numerous snorkelling activities and visiting local communities to gain a better insight into Thai culture.